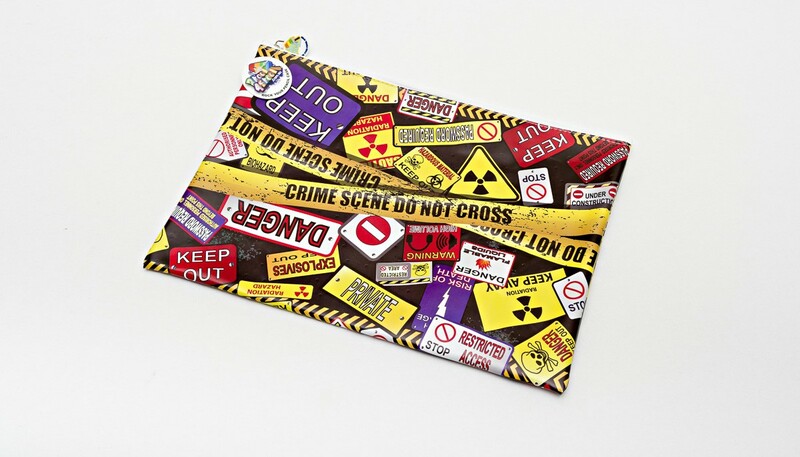 Great large size pencil case so you can fit all your cool stationery including your ruler inside and team it with the coolest ID cover ever but its not just an ID cover. 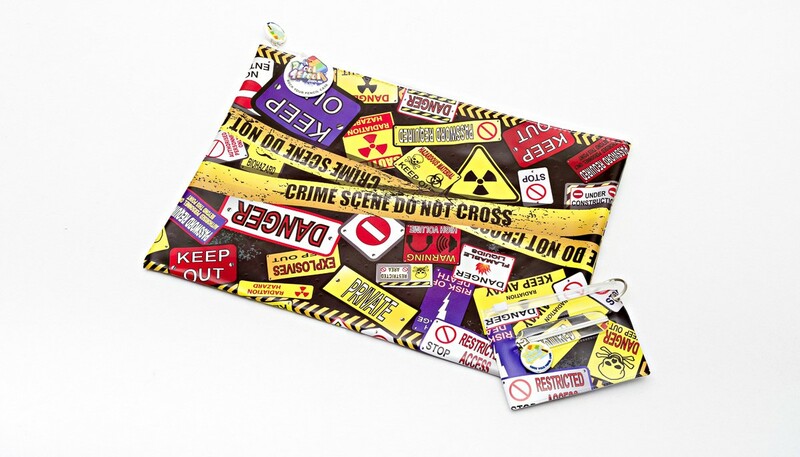 Match your Danger Keep Out Cover in the My Scent pack with this awesome satchel style pencil case and ID cover set. Cool oversized pencil case so you can fit all your fantastic stationery inside including your ruler inside and combine it with the cutest ID cover ever but its not just an ID cover. 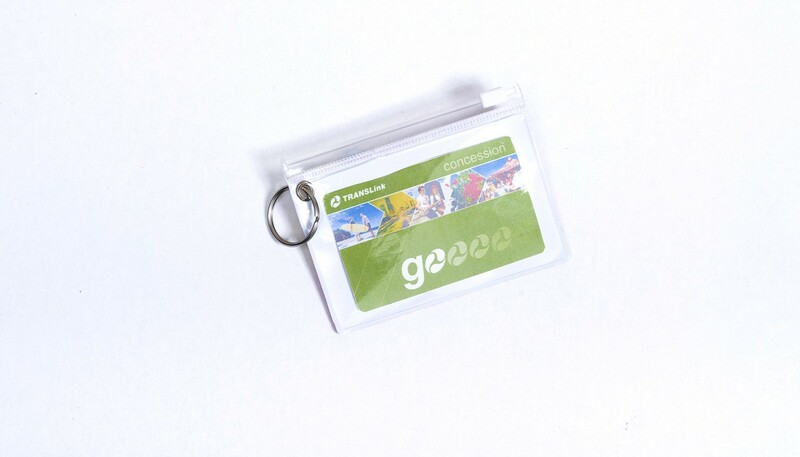 Pop your transport card, train or bus pass inside to easily swipe onto public transport and keep money safe in the zipper pocket. 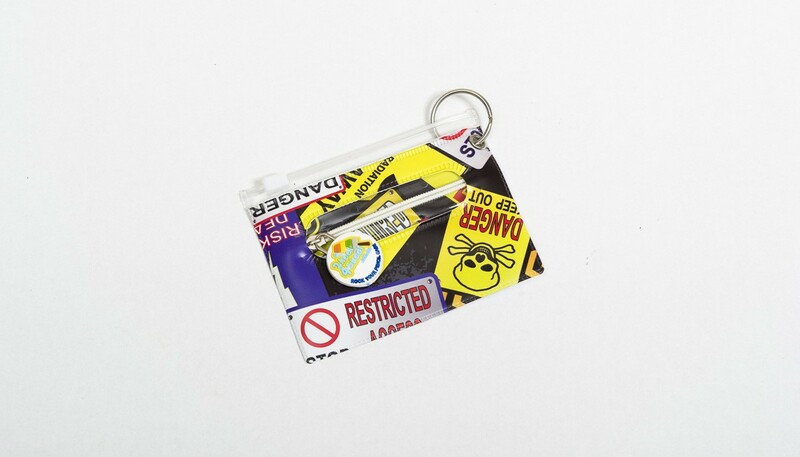 Use the keyring to attach to school bag as a great bag tag and attach your USB so you always have it handy. Both pencil case and ID cover are made from heavy duty printed non-toxic PVC and matches covers perfectly. 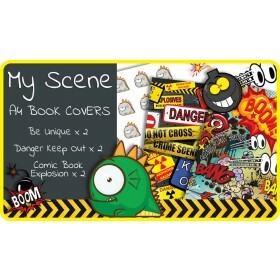 Dimensions are ID cover 110mm x 82mm and pencil case 35cm wide and 25cm deep. © 2012 2 Kool 4 Skool Pty. Ltd.